There are times in all our lives when we long to try something new and break the strains of routine. Perhaps it is as simple as a new hairstyle⎯especially when you have been wearing the same one since high school! Whether you are in a rut or just want to see what it’s like, whatever that something might be, this is the month to dream, explore and discover. When vacationing in Hawaii, I would occasionally see a person standing on what looked like a surfboard, paddling their way along smooth water bays. It looked effortless and somehow seemed as if they were walking on water. 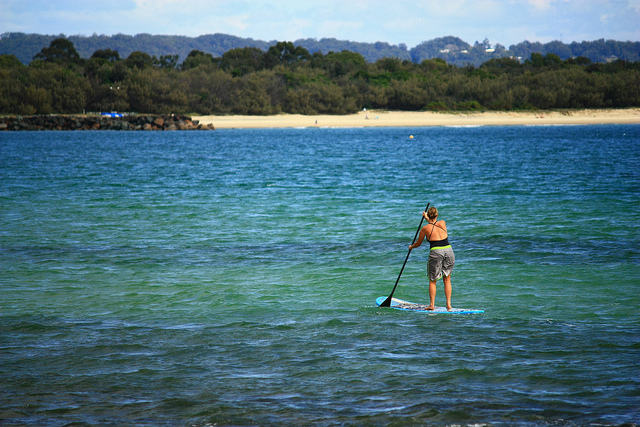 Lately, I have noticed these stand-up “surfers” on lakes around my home. Watching them glide through the water looked like it might be akin to aquatic meditation. 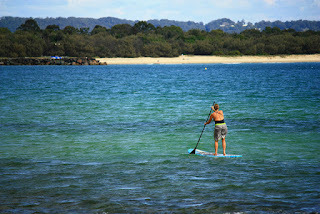 This month, I intend to try something new by taking a stand up paddling (SUP) lesson. Perhaps I will really enjoy it and add it to my repertoire of “things I do.” On the other hand, I might find it really isn’t my cup of tea, but I will have thrown off the bowlines and given it a try. No longer will I want to know what it is like. No longer will I wonder if I could do it. This is the month! When I wake each morning, I will remind myself of my intention. I will dream, explore and who knows what I’ll discover. Sail with me away from your safe harbor of procrastination. Don’t just dream it. Figure out how you can do it and go for it!